Does the mere thought of enjoying an ice-cream or a hot cup of coffee sends a sharp surge of pain down your teeth? Then you are not alone. It has been estimated that one in every 8 Americans has some form of tooth sensitivity. But there is no need to worry because we have the perfect solution for you; the MI Paste by GC. 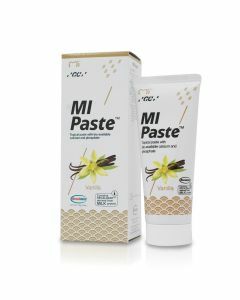 MI paste is a water-based, sugar-free paste which is available in the topical form and is used for relieving sensitivity of the teeth. This paste contains essential minerals like fluoride, calcium, and phosphate which play a vital role in making our teeth strong, prevent teeth cavities and sensitivity to hot or cold foods. What Makes MI Paste So Effective against Tooth Sensitivity? Did you know that MI Paste is the only product for a professional application which contains RECALDENT (CPP-ACP)? RECALDENT is a trade name for a naturally occurring protein known as Casein phosphopeptide-amorphous calcium phosphate (CPP-ACP). It is naturally found in the cow’s milk. RECALDENT in MI Paste works by providing a continuous supply of calcium and phosphate, which are the building blocks of our teeth and bones. 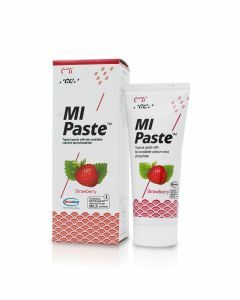 MI Paste also serves as an anti-plaque agent and prevents tooth sensitivity by protecting the nerve endings in the pulp which become exposed as a result of trauma, teeth cavities or poor oral hygiene. The ultimate result of using MI Paste is strong and healthy teeth and prevention of tooth sensitivity. What are the Advantages of Using MI Paste? Safety – the Mi Paste is completely safe for use, as it is water-based and does not contain any harmful ingredients. In addition, the MI Paste does not cause any irritation to patients who have a dry mouth. Diverse Applications – the MI Paste can be used both for in-office or at-home applications. For professional use, your dentist will prepare custom-made trays which you will need to wear over your teeth. Similarly, for at-home use, you just need to apply MI Paste on your teeth. That’s it. Sugar-Free – keeping in view the harmful effect of sugar on the teeth, MI Paste is sugar-free and only contains natural flavors. No restriction – the MI Paste is very easy to apply on the teeth. In addition, unlike other preventive dental products, you can use MI Paste several times during the day, or according to your dentist’s recommendations. For extremely sensitive teeth, we recommend the MI Paste Plus, which contains fluoride as an additional ingredient. Fluoride has been shown to make our teeth stronger and more resistant against the attack of teeth cavities. For at-home use, simply take a pea-sized amount of MI Paste and apply it onto your teeth with a cotton swab or a gloved finger. Spit the excess amount out, and the let the remaining product on your teeth for about 3 minutes. This will enhance the anti-caries and re-mineralization effect of the MI Paste. Alternatively, you can use dentist provided custom teeth trays or use our DIY teeth trays to apply MI Paste. 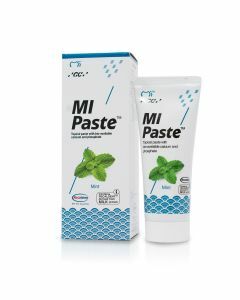 No more sensitive teeth with MI Paste! Now you can start enjoying your favorite ice-creams and hot beverages. Try it today and feel the difference!